Despite the workings of Storm Gareth and a stubborn Partick Thistle side, Hearts forced their way into the Scottish Cup semi-finals at a sodden Tynecastle Park on Tuesday night. An Uche Ikpeazu goal and a Sean Clare penalty earned a 2-1 victory after Scott McDonald gave Partick an early lead in this quarter-final replay. Ikpeazu saw a second-half penalty saved by the Thistle goalkeeper Conor Hazard, and in stoppage-time the Glasgow club saw a strong penalty claim dismissed by referee Bobby Madden. 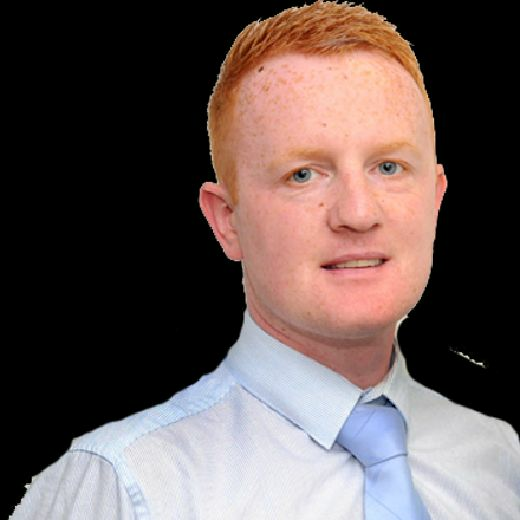 John Souttar seemed to impede substitute Joe Cardle inside the area, but the official rejected the claims and soon had enraged Partick players in his face questioning the decision. The final whistle sounded seconds later to ensure Hearts would progress to meet John Robertson’s Inverness Caledonian Thistle in the last four. 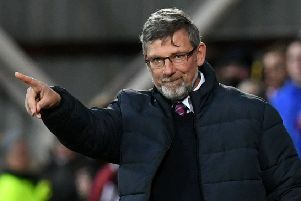 With Celtic and Aberdeen meeting in the other semi, Craig Levein and his players will be favourites to reach the Scottish Cup final for the first time since 2012. Storm Gareth brought truly horrible conditions with freezing rain, sleet and biting winds. However, Thistle arrived in Edinburgh more concerned with executing Storm Gary. Manager Gary Caldwell planned to cause a major cup stir after holding Hearts to a 1-1 draw in the original tie in Maryhill last week. A replay at Tynecastle was an altogether more daunting task, but Caldwell set his team out to attack. Hearts left David Vanecek, Peter Haring and Callumn Morrison out from the weekend league win at Dundee. Having beaten Dundee United, Partick arrived at Tynecastle with confidence and a detectable determination to reach the semis. Hearts full-back Ben Garuccio forced a decent save from the Hazard from a free-kick in the opening exchanges. However, Tynecastle was stunned on 17 minutes when the Championship side scored first. Craig Slater’s chipped cross was met by Steven Saunders for a downward header which Zdenek Zlamal blocked on his goal line. The predatory McDonald was lurking with intent for the rebound and scuffed a low finish into the net from five yards. The lead lasted seven minutes. Garuccio and Craig Wighton combined on the left to feed Ikpeazu. He turned and ran towards a more central area near the edge of the visitors’ penalty area before dispatching a low shot past Hazard into the net. To celebrate, he made for the home dugout and yelled with delirium after his first goal since returning last month from a four-month injury absence. The balance of play remained fairly even until Hearts won a penalty nine minutes from half-time. Jake Mulraney sprinted on to a through ball as Thistle defenders hesitated and the Irishman was brought down by the outrushing Hazard. Clare confidently sent the keeper the opposite way from the spot and most of Tynecastle breathed relief at the relatively quick turnaround. Momentum now belonged firmly to the home side and they put Thistle under intense pressure through to half-time. Passes into Ikpeazu’s feet were a favoured ploy but Mulraney also enjoyed several opportunities to run and cross from the left wing. The inclement weather didn’t help the quality of football on offer, though. Mulraney continued as an attacking outlet for Hearts in the second half as torrential rain poured down on those afield. The locals wanted another goal to kill the tie but Clare glanced a header wide of target from Marcus Godinho’s cross on the hour mark. Partick justifiably retained hope while the deficit remained at one. The chance to wrap up a semi-final spot once and for all arrived for Ikpeazu on 70 minutes. He was impeded by Steven Anderson inside the box but saw his tame spot-kick saved by Hazard low to the right. If Hearts were going to Hampden, they seemed determined to get there by testing their supporters’ patience to the maximum. McDonald broke forward on the run and dispatched a shot which bounced only inches wide of Zlamal’s post. That was the start of a tense final period, although the hosts tried to score again rather than retreat and preserve their 2-1 advantage. Substitute Haring fed Wighton with seven minutes to go only for the striker to fire his attempt wide. Wighton then nutmegged Slater and cut inside beautifully but saw his shot blocked by Saunders. The most controversial moment of the night came in stoppage-time. Substitute Cardle darted away from Souttar inside the penalty area and seemed to be brought down by the centre-back. Madden waved play on, leaving Caldwell incandescent with rage in the technical area. Madden was surrounded by visiting players but wasn’t for changing his mind. His final whistle left Thistle devastated after everything they had put into both games. Hearts, though, head to Hampden Park to meet Inverness in their first Scottish Cup semi-final since 2012. Hearts (4-3-3): Zlamal; Godinho, Souttar, Berra, Garuccio; Lee (Haring 66), Djoum, Clare; Mulraney (Morrison 83), Ikpeazu, Wighton. Unused subs: Doyle, Bozanic, MacLean, Dikamona, Keena. Partick Thistle (3-5-1-1): Hazard; Saunders, Anderson, McMillan; Elliott (Cardle 51), Spittal (Fitzpatrick 76), Slater, Bannigan, Penrice; McDonald; Mansell (Storey 67). Unused subs: Sneddon, McGinty, Doolan, Harkins.